Prodrive Auto Insurance: Car Insurance, Motorcycle & More. At ProDrive, we are continuously working to provide the personal, and business coverage you require with Unlimited Guarantee to you. When it comes to car insurance, Be prodrive. Don't leave it up to chance, when it come to protecting your car, boat, home, and business. 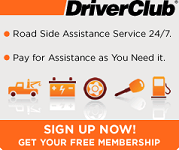 Prodrive services don't stop at insuring you, we gladly offer Roadside assistance memberships, making sure that our members are safe on the road. Prodrive insurance represents many'A' Rated Admitted Insurance Companies, which is a tremendous benfit to you. You get the right coverage at the lowest rate possible serving West Covina, La Puente, Walnut, Hacientia Heights and surrounding cities and the State of California.